A short quick graphical tutorial on how to Crochet cord - this is one of my favourites! It may take a bit of getting used to, but it is not so hard and once you get the hang of it, it is very satisfying. It produces a lovely cord - strong, beautiful, intriguing, and flexible. And in my eyes, best of all, it is very versatile. You can easily incorporate beads and gems into the process or even join them to make double crochet cords (or crochet ropes, as some like to call it). "Duo Sided Crochet Cord" is the name I have given it. I don't know if it has an 'official' name. In all my years, I have not seen this anywhere so I have not come across an 'official' name. 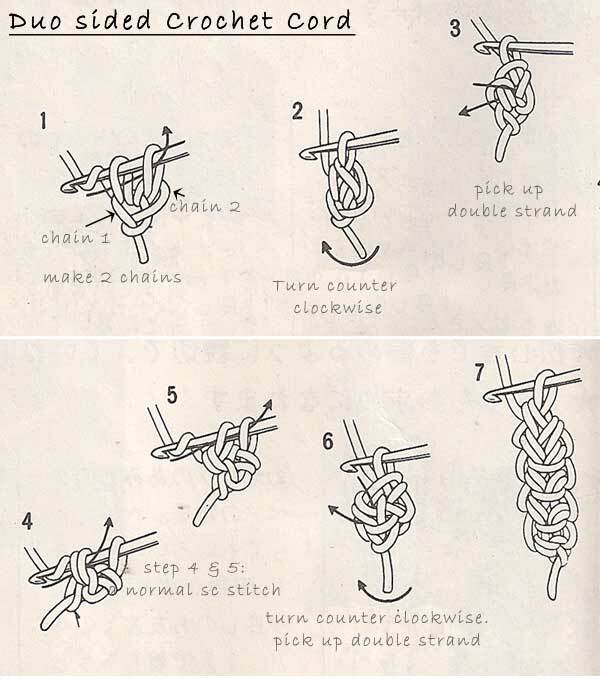 These instructions came from a very old Japanese crochet book that I have from my early childhood. The instructions were in Japanese. I have added the English notes once I figured out how to do it. That should make things easier for most of us. I try just about any kinds of threads with my crochet cords or crochet ropes. My favourite is my specific viscose yarn (which is shinny, soft, strong) but unfortunately, the people who used to supply me are no longer with us. 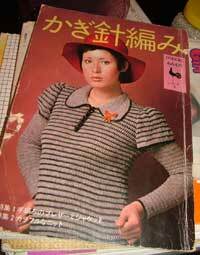 Some strong crochet threads for your consideration below which is readily available. There is a plethora of great books by fantastic artists who will help you create the most amazing crochet, many in the field of jewelry making and accessories. 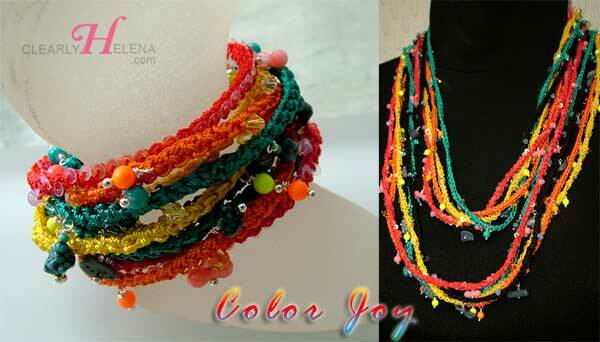 Color Joy jewelry set is made using this technique. I have made gemstone dangles and incorporated crystal beads, gemstones, dangles, and sequins in the making of this. Get more details by clicking the image.